Color Correction, Extensions, Perms, Wig Styling, Make-Up, & Conditioning Treatments also available. Please call for info. Most color services available at a lower rate with a Jr. stylist. Please be so kind as to give at least 24 hours notice prior to your appointment. A last minute cancellation or missed appointment is liable for 50% of the service fee. The prices on this menu reflect the fees of stylists who work for the salon. 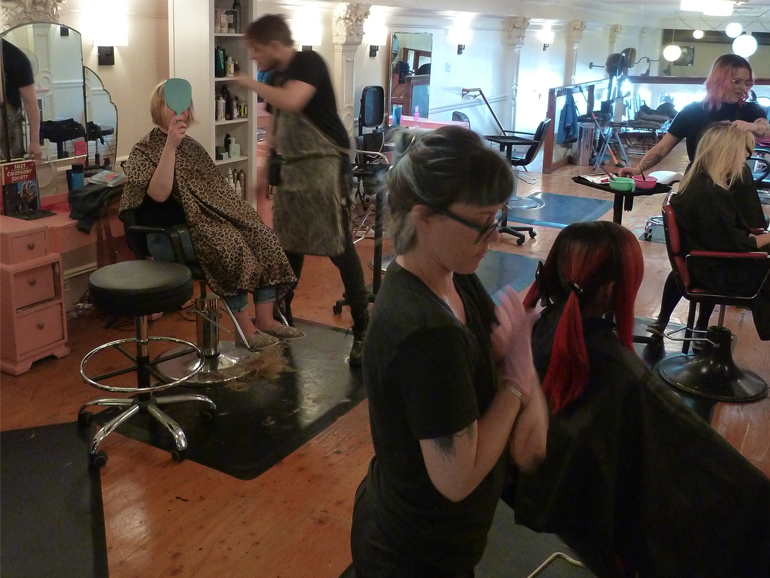 Glama-Rama is also home to many independent stylists so pricing will vary. Book Online Now for Either Location!